For individuals with ADD/ADHD, symptom control or mitigation is a major factor. While the ultimate goal is to effectively treat all aspects of ADD and ADHD, the specific symptoms are the primary factors that directly impact the quality of life. Therefore, reducing this impact or in effect, controlling ADD/ADHD is a crucial aspect of any treatment regimen. With this goal in mind, Neurofeedback works to provide effective control of ADD/ADHD and associated symptoms. No particular cause has been identified that encompasses all instances of ADD and ADHD and thus is commonly referred to as a spectrum disorder. At the same time, there have been links established that indicate the role that the brain plays in people who have ADD and ADHD. In essence, a brain is an electrochemical machine that produces brain waves of specific frequency ranges to provide the functionality of the brain. There are six ranges: Infra-Low, Delta, Theta, Alpha, Beta and Gamma waves, each with their individual frequency ranges. Each of these waves also generates patterns of activity in the brain. In those that have ADD and ADHD, the patterns deviate from the standard patterns. However, more than just ADD or ADHD can have an effect on these patterns, again establishing that this is not specifically a cause of ADD or ADHD. Still, they do provide an avenue of treatment for controlling the effects of ADD and ADHD. 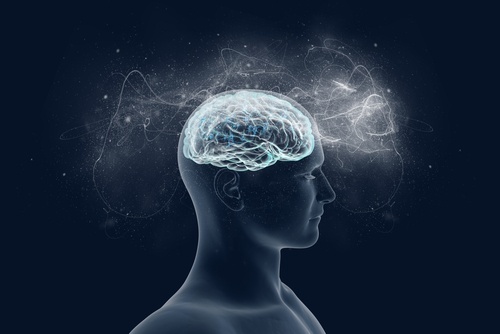 Neurofeedback is the retraining of the brain to generate the correct, or normal patterns and thus reducing the symptoms associated with that connection. Once a baseline of the individual is completed, a combination of different sensory stimuli is produced, and the brain is rewarded through the same or different stimuli to reproduce the corrected patterns. The stimuli response allows the brain to retrain itself and to reinforce the generation of the correct patterns outside of the treatment. When combined with other treatment options, which are targeted to other ADD/ADHD symptoms, neurofeedback is highly effective in improving the overall quality of life of those who have ADD and ADHD. Additionally, it has increased longevity over other single treatment options. Often neurofeedback operates in conjunction with other treatment options to encompass as many of the symptoms and concerns as possible to improve the overall effectiveness. Again, considering that ADD and ADHD are a spectrum disorder, no specific treatment will encompass all aspects or symptoms in all those with the disorder. Only a comprehensive treatment regime is possible for overall improvement. Neurofeedback works well with the other treatment options available to provide such a comprehensive treatment. Also, considering that both the neurofeedback treatments and the other associated treatments are non-invasive, as opposed to those provided by pharmaceutical intervention, responses and adjustments to the treatments can be accomplished quicker thereby allowing the symptoms to be addressed as needed. If you would like to learn more about neurofeedback, I have compiled video that will enlighten you about the technology and it effectiveness in helping with ADHD. You can register to view it by clicking here. The symptoms of ADD and ADHD can cover the spectrum from severe to mild with wide-ranging impacts on a person's quality of life. Neurofeedback treatments and other associated treatments work to reduce the symptoms of ADD and ADHD while providing long term results that allow for a positive impact on the quality of life of the person who suffers from this spectrum disorder. While some do opt for a pharmaceutical response to ADD and ADHD symptoms, the side effects from this response can create just as many problems for the person as the disorder itself. For some, this type of response is the only effective means to deal with ADD and ADHD. Before embarking on such a solution, giving neurofeedback and related treatments a try could not only help you cope with the symptoms of ADD and ADHD but could allow you to skip the side effects associated with pharmaceuticals. If you or someone in your family suffers from the impacts of ADD and ADHD, now is a great time to evaluate the potential of neurofeedback treatments for your situation.